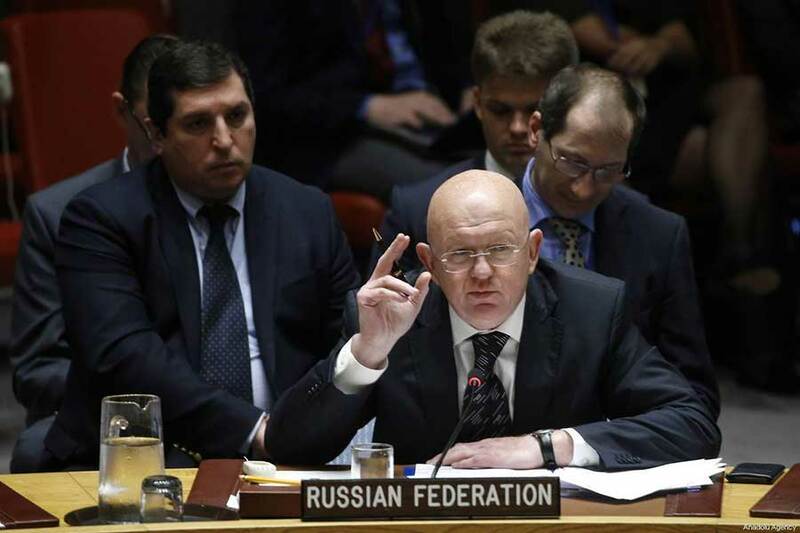 NEW YORK, the United States (BulgarianMilitary.com) – Russia’s Permanent Representative to the UN, Vasily Nebenzya, stressed that everyone, including Iran, Turkey and even Russia should eventually leave Syria, learned BulgarianMilitary.com, quoting Middle East Monitor. The senior Russian diplomat reiterated Moscow’s call for establishing a “platform” to discuss the problems of the MENA region. Read more: What Is Iran Doing in Syria? “Iran is part of the region and not a foreign entity. It has legitimate interests outside national borders. In addition to other things, Iran aims to guarantee its national security. Other Arab countries, Israel or Turkey have similar interests, but they are referring to the threats posed by Iran ignoring the one Iran is facing. Those threats have become clear and imminent nowadays, and are currently being announced to the public,” he continued. Washington’s recent speeches and moves, including the withdrawal from the nuclear agreement signed with Iran and the introduction of large-scale sanctions only serve to increase the risks of escalating tensions in the region, he explained.